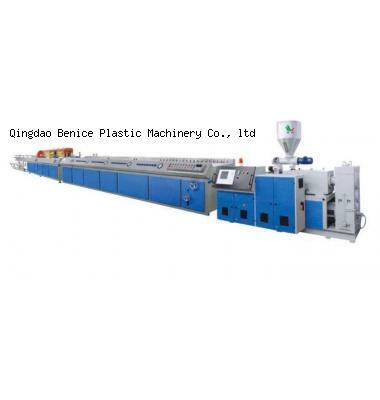 The machines produce precision small-bore single-wall corrugated pipes by use of PVC, PP, PE and PA. One-step molding technology is applied to the making of moulds, which make the inner and exterior walls of the pipe smooth and delicate and make the corrugation even and clear. With aid of the mating slitting machine, the pipes can be cut vertically along the axis. The pipes are widely used as cable glands in vehicles, motors, and on washing machines, vacuum cleaners, blowpipes, special pipes for concrete, as well as in farm fields.